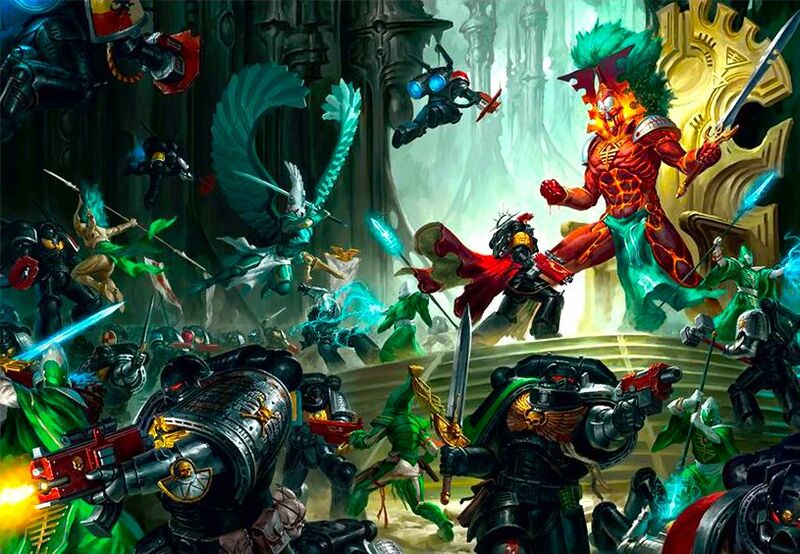 Continuing the cavalcade of Chaos careening down the GW release pipeline, next week will also see the release of Vigilus Ablaze and an updated Codex: Chaos Space Marines. See what new rules await within! 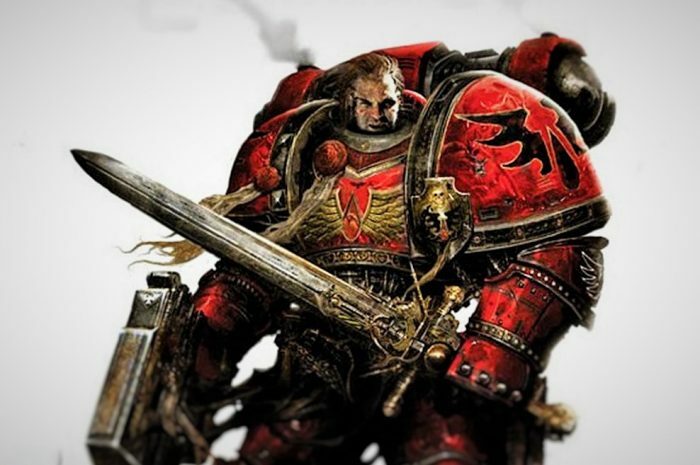 Vigilus Ablaze is just around the corner and it sure looks like GW is sending in the Blood Angels to face down Abaddon. The countdown is over, Abaddon is here–and he’s looking better than ever. Come see his new mini in all its gory details! Black Blow Fly here to discuss one of my favorite factions – Chaos Marines and my favorite villains – Abaddon’s Black Legion. Our new favorite Daemon Engine is back with a best selling book so good it’s literally on FIRE! 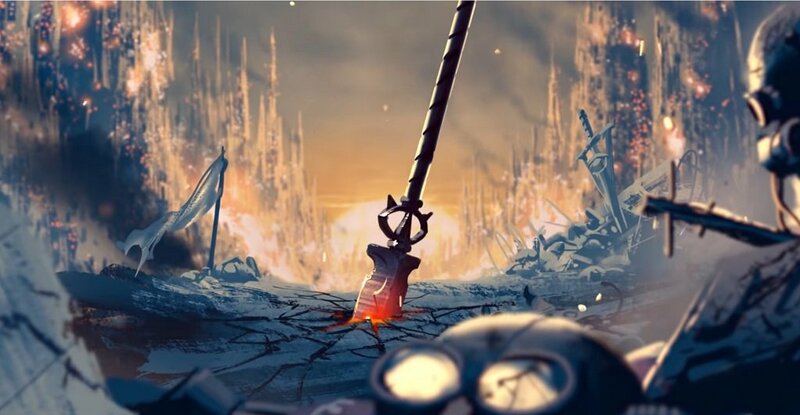 With two weeks left on the countdown clock, and many many new reveals for Chaos already, here’s a look at what we know so far. The Black Legion can trace their roots back to The Warmaster Horus, but they do not hold him as dear as other Legions hold their Primarchs. 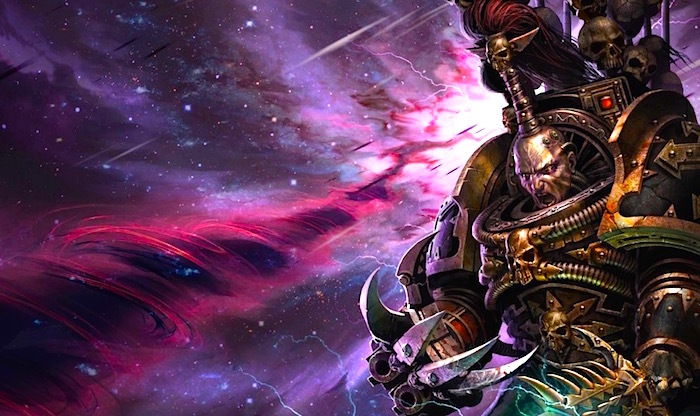 Loremasters, today we delve into the History of the Black Legion! 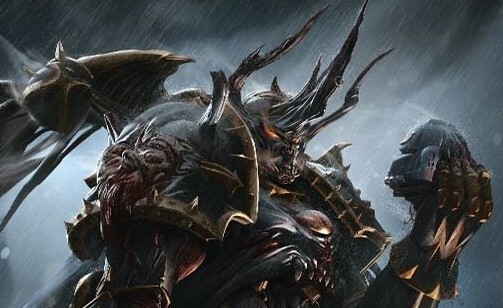 It’s either a very stealthy Abaddon teaser showing up alongside a promo for a new Black Legion model, or someone else has gotten a hold of the Talon of Horus. Gather ’round Loremasters. 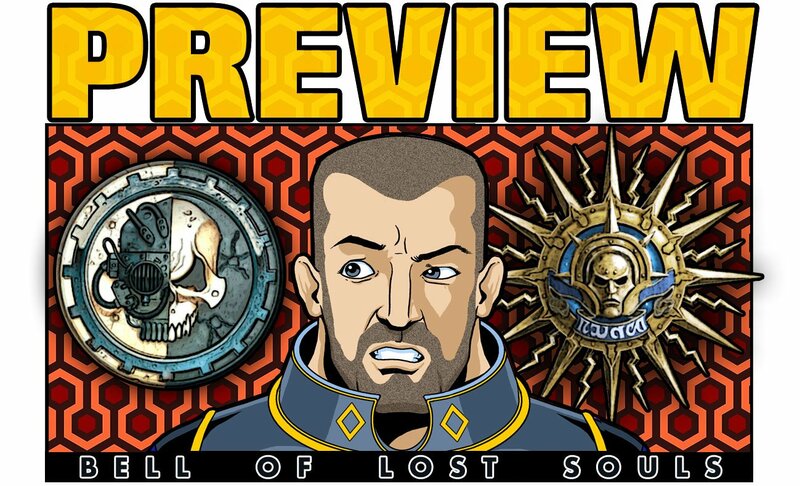 Let us talk of darkness–of Chaos–prepare your canticles against corruption, for today we discuss the shadow that has fallen on distant Vigilus: the shadow of the Black Legion. Hello everyone it’s BBF here again with my third installment of Black Legion tactica. Terminators and Land Raiders – go big or just go home!